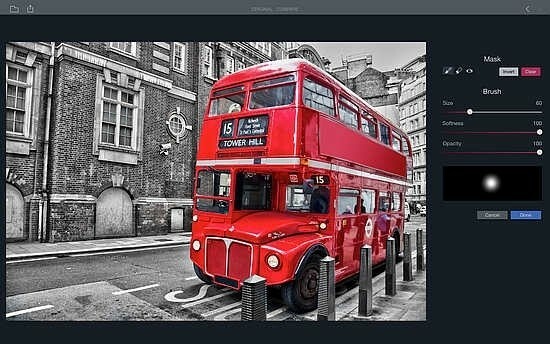 MacPhun Filters for Photos is a free application which is available to download for use on Mac computers only. 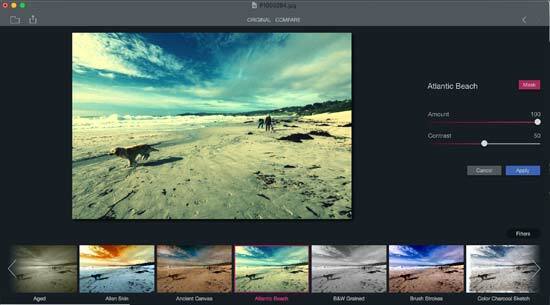 It is developed by the same company which has a range of other photo editing software currently on the market, including Intensify and FX Photo Studio. 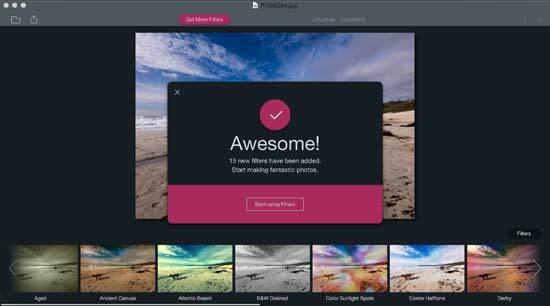 You can use it as a standalone application, or you can use it an extension for Photos, the inbuilt photo application which is available for Mac computers. 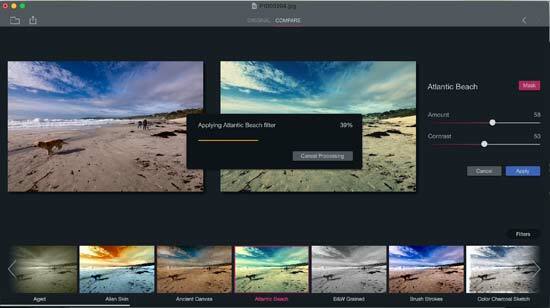 In Photos, you get eight different filters, but 30 different filters are available with Filters for Photos. 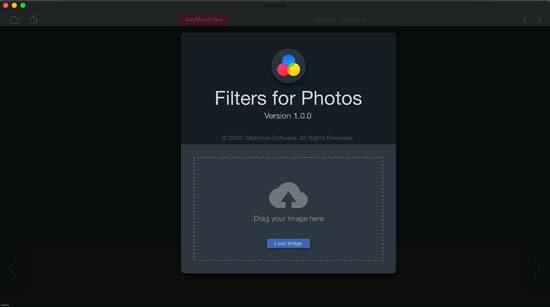 As with most other pieces of Mac software, installation of Macphun Filters for Photos is a very simple process. You can download the software directly from the MacPhun website, or you can find it in the Mac App Store. Either way, it’s a free download. 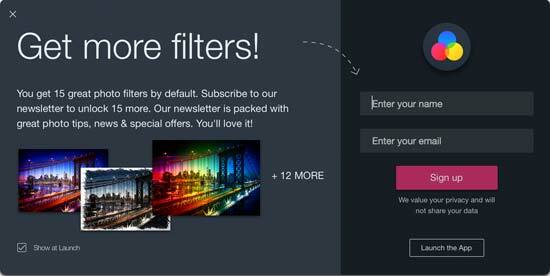 Once you have validated your email address, you can reopen the app and all 30 of the filters will be available. 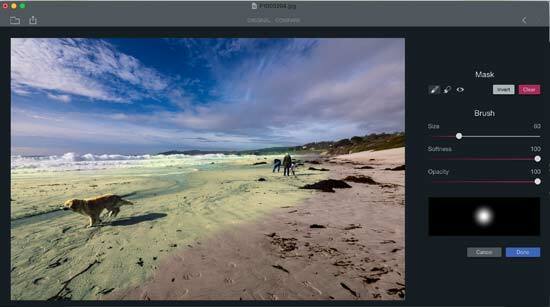 To get started with editing a photo, you can drag an image onto the work space, or you can click the ‘open’ dialogue to find the image on your computer. Unlike with Photoshop or other similar applications, you can only open one image at a time, and you’ll need to finish every edit before you can start on another. There doesn’t seem to be a way to save a project and come back to it at a later date, like you can with some of MacPhun’s other pieces of software. 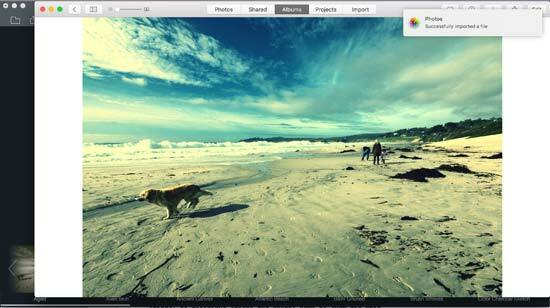 Once you have opened or dragged an image, you’ll see all the filters you can choose from along the bottom of the screen. These are sorted by alphabetical order. You simply click on any filter which catches your attention to apply the setting and you’ll see it immediately applied to your image. One of the best things about the app is that the preview of the effect is immediate and you don’t have to wait for processing to see how it looks. To the right of your image you’ll see that there’s at least one slider to change the look of how the filter looks. Which sliders appear is dependent on the filter you’re using, but usually includes the ability to adjust the intensity of the filter. You will also see that there’s a mask button. Click that and you will be taken to a dialogue where you can use a brush to apply the filter only to a select area of the image. You can adjust the size, softness and opacity of the brush, which helps if you want to only select a small area, or alternatively if you want to quickly select large swathes of the image. Switch to the erase option, rather than the brush option, and you’ll be able to remove any parts of the brush that you have created in error. 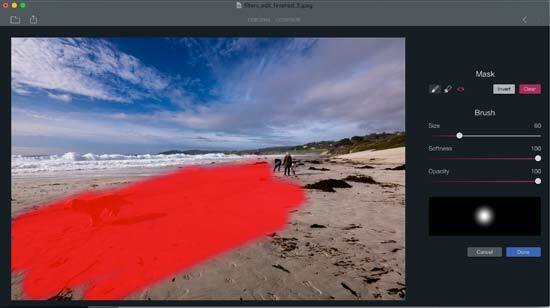 If you click the eye icon you’ll be able to see the brush area that has been selected highlighted in red. You can toggle between this view and the standard view to help you see exactly where the brush strokes are. Your other options are to invert your selection, or clear the selection altogether so you can start again. When you’re happy with the masking, you press Done to go back to the main editing window. 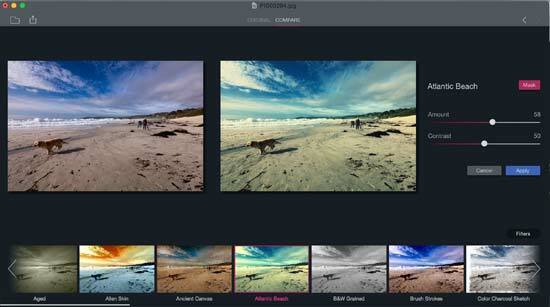 You can mix filters together if you like, rather than just choosing one. 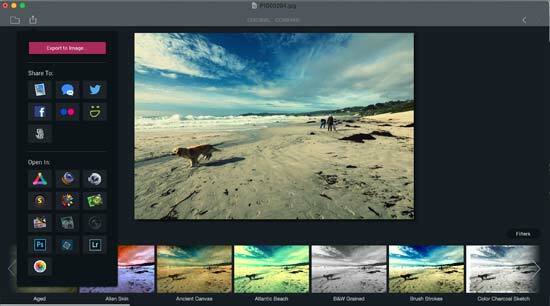 To do that, you need to choose the first filter, make any adjustments, then click Appl. Then you can choose another filter to blend with the previous one, also adding any adjustments that you’d like on to it. You can do this infinitely, adding as many filters as you feel is necessary. At the top of the Macphun Filters for Photos screen you can click compare and two versions of your image will be displayed. One being the original image (on the left), and the other being how your edit looks (on the right). If you apply one filter, and want to add another, the image on the left will change to show the filtered look, rather than your original file. If at any point you want to go back to square one, you can click File > Revert to Original. Then, any changes that you have made will disappear and you’ll have your original file to work with again. When you’re happy with all the edits you have made, you have a couple of options. If you’re using the app as a standalone app, you can simply save as a final JPEG image. Click the icon which looks like a rectangle with an arrow in it, and “Export to Image” will be your first option. Just below this, you’ll see that you can share your images via a variety of social networking options, including Facebook and Twitter. Underneath this again you’ll see that there’s a large number of different apps that you can open any edited images in. These include any MacPhun apps you have installed, any Adobe apps you have installed (including Photoshop and Lightroom), or the Apple Photos app. Once you’ve opened your image in one of the other apps you can make any of the usual edits you would like to make.